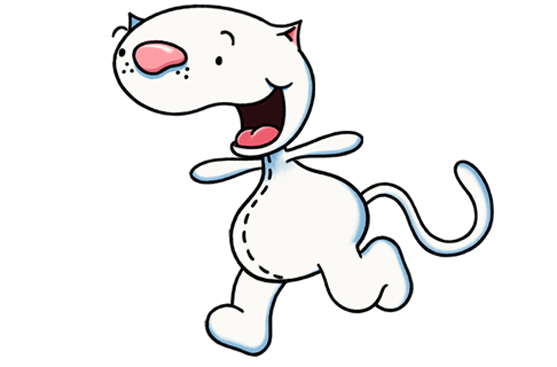 Toopy and Binoo are inseparable friends who enjoy life to the fullest. Bursting with imagination, they inhabit a fantasy world where incredible situations follow one after another for the enjoyment of TV viewers. 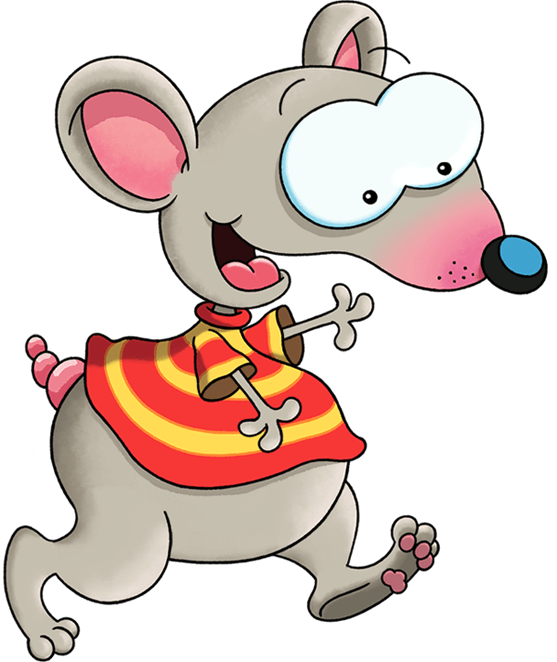 Toopy is a mouse with a vivid imagination. His spontaneous and naive outlook on his surroundings transforms everything. For Toopy, the world is magical! Binoo, the tiny cat, is Toopy's ideal companion. He shares in the adventures with absolute wonder and untainted innocence, often outdoing Toopy in imagination, but his insight enables him to perceive things Toopy has missed without even realizing it! Binoo never says a word, but TV viewers will see it all! Toopy and Binoo invite preschoolers to delve into their fantastic world through short and compelling stories. Each story begins in the real world, where Toopy seizes an opportunity to slip into an imaginary universe. Humour and the absurd combine in a series of twists and turns before viewers are brought back into the real world for an often unexpected and delightful ending. Deliberately free of moralizing, these stories rather encourage young viewers to use their imagination and look at things with a fresh perspective. For Toopy and Binoo, the imagination is a source of infinite pleasure. Just by using their imaginations, they have fun becoming different characters, transforming familiar objects into unusual devices, imagining crazy games and coming up with such funny and original solutions to the problems they encounter that they actually become fun! With Toopy and Binoo, there's no need for toys, ten fingers and a big imagination are all you need! 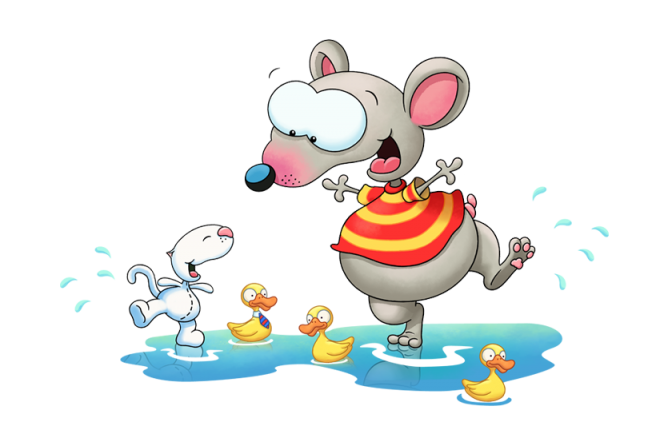 Toopy and Binoo are naturally happy and approach life with gusto. Everything is a source of fun for them. Their open natures provide an endless source of humour, especially Toopy's naïveté, because young viewers identify with him (when they were small, they didn't know either, but now that they're bigger, they love to laugh at Toopy!). Toopy and Binoo share everything. They are a joyful pair who never get discouraged. Binoo wants a banana? Nothing can stop Toopy from finding one in the jungle. As soon as Binoo is confronted with a problem, Toopy dashes to his rescue with all the power of his imagination. And every time Toopy embarks on a new adventure, Binoo is at his side. Their complicity extends to their friends. As they help the insomniac monsters fall asleep or the dragons find their true love, each outdoes the other in imagination! Toopy and Binoo is an animated series for preschoolers based on the popular books created by Dominique Jolin, broadcast in 175 countries in 20 languages around the world. The series was developed by Spectra Animation, now Echo Media, and aired for the first time in 2006 in Canada. The brand has had a solid growth path since its launch and has evolved from a publishing/television series to a fully integrated preschool property with remarkable success in all key categories including publishing, television, home entertainment, toys, apparel, live events, vacation hotel resort programs and the digital space. If you are interested in becoming a Toopy and Binoo Licensing Partner, please contact us.